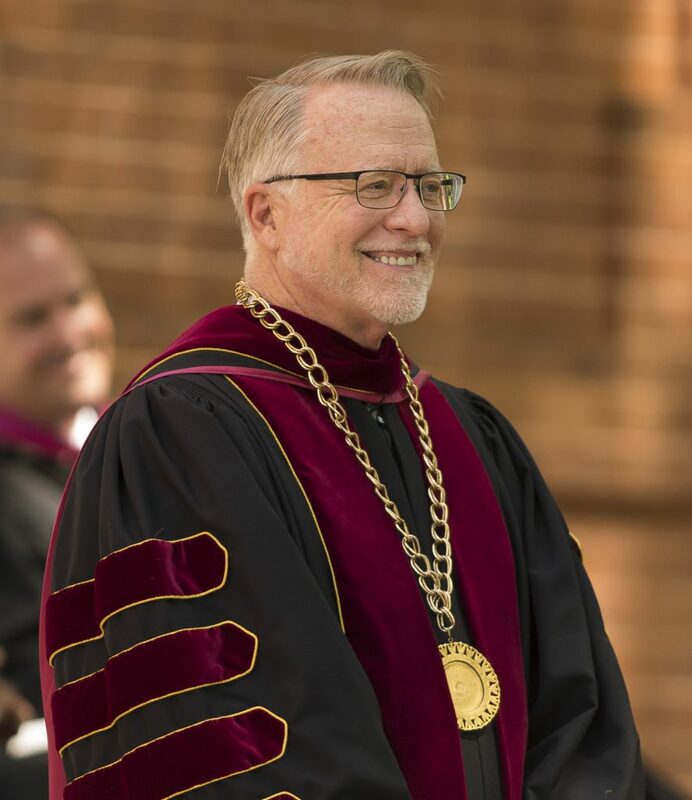 DUE WEST, SC (courtesy erskine.edu)– The Board of Trustees of Erskine College and Theological Seminary has announced the appointment of Interim President Dr. Robert E. Gustafson, Jr. as 17th president of the institution. Gustafson began his work as interim president Nov. 1 upon the retirement of Dr. Paul Kooistra, Erskine’s 16th president. As head of school at the Stony Brook School, Stony Brook, N.Y., for 15 years, Gustafson was responsible for oversight of a $9 million annual operating budget and more than 100 faculty and staff members. He also served for five years as head of school at Jackson Preparatory School, Jackson Miss. Erskine’s newly appointed president was educated at the University of Virginia, Charlottesville, Va., where he received the bachelor of arts degree in religious studies; Gordon-Conwell Theological Seminary, South Hamilton, Mass., where he was awarded the master of theological studies degree; Columbia University Teachers College, New York, N.Y., where he was the recipient of a Klingenstein Fellowship Grant and earned a master of arts degree in educational administration; and Erskine Theological Seminary, where he received a doctor of ministry degree. Gustafson and his wife, Marjorie Graham Gustafson, are the parents of two children. Plans for Gustafson’s inauguration as president will be announced at a later date.